Create the perfect soundtrack for your big day. 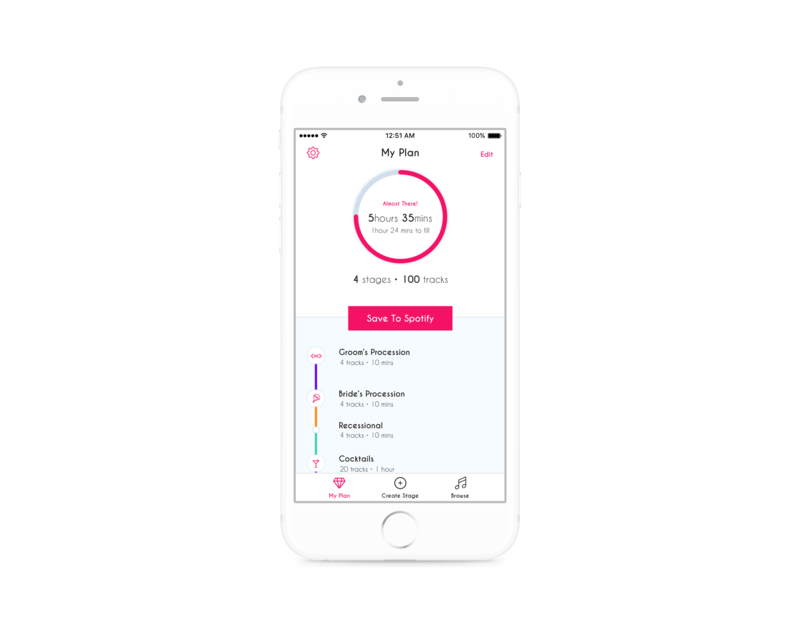 Bridal Party is an iOS application created to simplify the way people plan and curate their wedding music. With Spotify integration, it allows users to access literally millions of artists and tracks to perfectly tailor a matching soundtrack for even the fussiest bride or groom. Bridal Party was conceived and created entirely by Hydric. 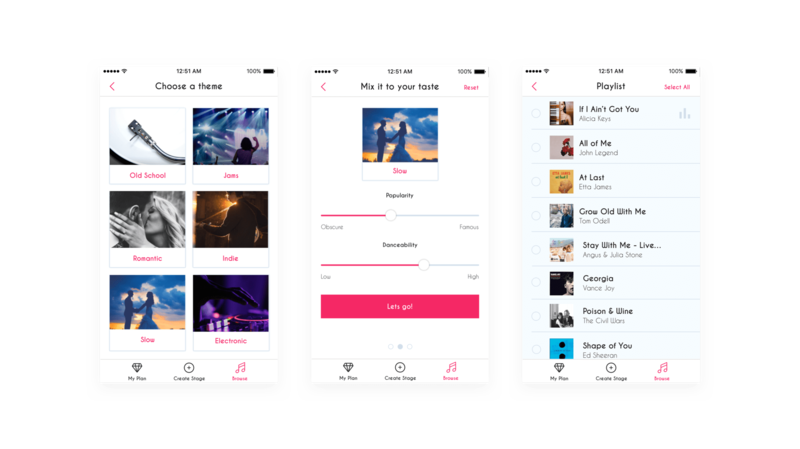 Inspired by the wedding planning pains experienced by some of our own team members, we set out to create an app that would allow you to discover, search and save tracks into wedding-appropriate playlists. Bridal Party’s mission is to eliminate the need to spend countless hours meeting with a DJ or pouring over your music collection. After an extensive design process and a first attempt at using animation technology Lottie for iOS, the Hydric team was able to implement elegant and intuitive design features. Generating Spotify track recommendations requires seed artists and tracks, so several team members (including our newlyweds!) analysed and tested combinations of seeds over several days for optimal results. Bridal Party allows a user to create and label playlists that correspond to each stage of their wedding day, like ‘getting ready’, ‘the ceremony’, ‘cocktail hour’ or ‘reception’. The customizable timing feature on each stage allows the user to track the length of their playlists against the anticipated timing of the day, so they can make sure the music doesn’t end a minute before it needs to. To create their soundtrack, users can browse top suggested romantic playlists from Spotify and find inspiration in galleries of genre-based playlists. 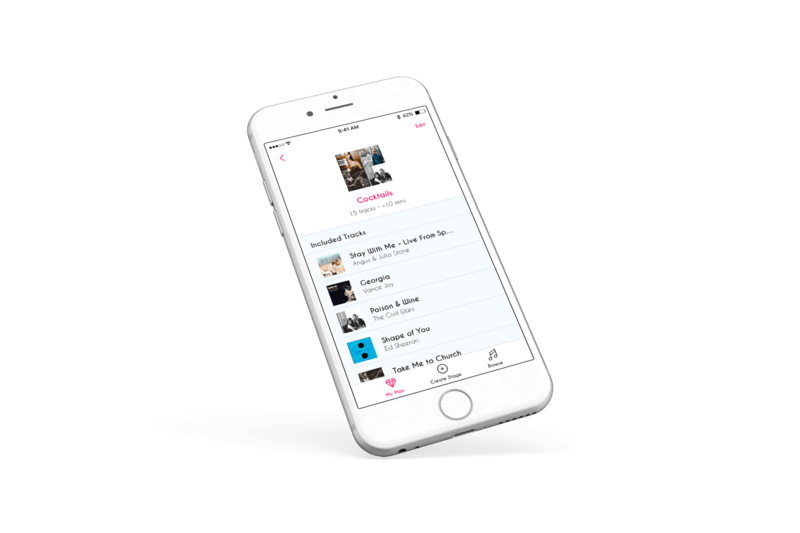 Users can also generate music recommendations based on themes such as ‘Old School’, ‘Romantic’ and ‘Indie’. They can further refine these recommendations by using the interactive ‘Popularity’ and ‘Danceability’ scales. The ‘Popularity’ scale can be moved to give either more obscure results or the most famous tracks around, whilst the ‘Danceability’ scale relates to how suitable a track is for dancing based on musical elements such as tempo and beat. Move the scale to low for mellow beats or make it high to get the wedding guests onto the dancefloor. Best of all, any playlist created on Bridal Party can be saved directly to the user’s Spotify account. All these elements ensure that each stage of a wedding day can be perfectly timed and filled with the couple’s ideal music.